Many different “domains” of older persons’ living environments potentially influence their residential satisfaction and thereby their well-being. Factors that might impact on older persons’ residential satisfaction were explored in a busy Asian city, Hong Kong, in terms of a number of “domains” with elements: the Structural domain (interior and exterior dwelling characteristics, security concerns), the informal domain (informal social support including family, friends, and neighbours) and the formal domain (social services and community facilities) around or near the neighbourhood. Face-to-face interviews were conducted with a random sample 518 Hong Kong residents aged 60 and over, who lived in various housing arrangements including private/public and new/old housing establishments. Hierarchical regression analysis models revealed that the structural domain had the strongest tie with residential satisfaction. Formal and informal types of support for older persons’ needs were generally unrelated to residential satisfaction. Further investigations showed that all three elements of the structural domain contributed unique variance to residential satisfaction. Satisfaction with community facilities, an element of the formal domain, was related to residential satisfaction even when variations from other domains were accounted for. When all the three domains were simultaneously analysed for their contributions to residential satisfaction, all of the elements of the structural domain and the community facilities element of the formal domain contributed to unique variance. The implications of the findings for policy makers in designing home settings for older persons in Hong Kong and some other Asian cities are discussed. 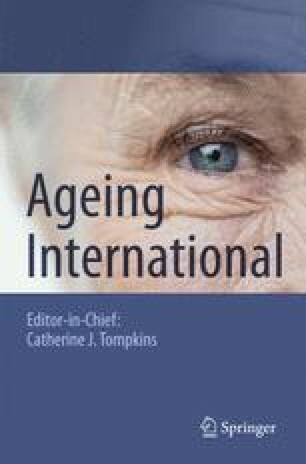 He is founder and Associate Director of the Asia-Pacific Institute of Ageing Studies (APIAS) and was a principal investigator for the multidisciplinary project on which this paper is based. Anthony G. O. Yeh is chair professor in the Centre of Urban Planning and Environmental Management at the University of Hong Kong, and a co-investigator for the multidisciplinary project. Oi-ling Siu is associate professor in the Department of Politics and Sociology, Lingnan University, and a co-investigator for the multidisciplinary project. Kevin H. C. Cheng is an assistant college lecturer in the Department of Politics and Sociology, Lingnan University, and a research assistant for the multidisciplinary project.